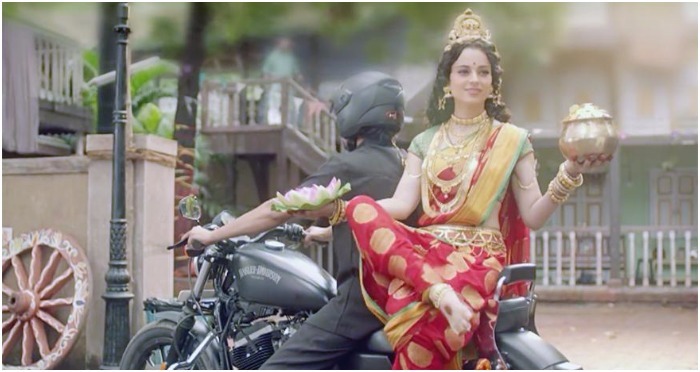 #DontLetHerGo – Boost to ‘Swachh Bharat’ by Kangana Ranaut and Amitabh Bachchan Is Insipring Us! Ever since our childhood, we have been taught just one thing. Cleanliness is equivalent to godliness. Remember those Diwali days, when we were told to keep our rooms tidy for Goddess Lakshmi won’t enter a messy room? With time, we have forgotten all this. But the ‘Swachh Bharat Abhiyaan’, the government, and our Bollywood stars have this time taken it upon themselves to give us a reminder of a lesson long forgotten. Take a look at this short video, featuring Kangana Ranaut, Ravi Kishan, Omkar Kapoor and Esha Koppikar that will open your eyes. #DontLetHerGo is narrated by the famous celebrity idol Amitabh Bachchan which will inspire all of us. Remember, not only our house and shops, keep our surrounding and streets also clean and tidy. Share with the hashtag #DontLetHerGo and make India ‘Swachh Bharat’! What you think, this ad will encourage people? Tell us in the comment box below!